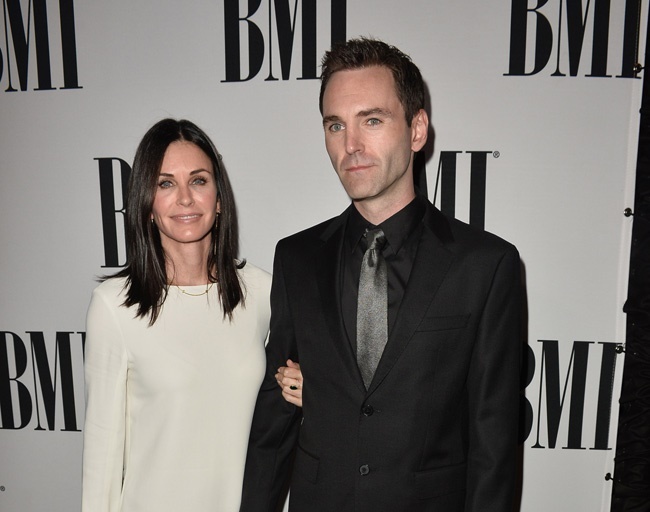 It’s been reported that Courteney Cox will spend much more time in London with her partner Johnny McDaid. The former Friends star currently lives in California with her 12-year-old daughter, whom she shares with ex-husband David Arquette. Now she wants to travel at least two weeks overseas each month in order to build a stronger relationship with the Snow Patrol singer. A source revealed how their relationship has been on the rocks due to the distance and not seeing each other enough, adding: “Courteney says she can’t stand being apart from Johnny so much and the long distance has been causing some tense rows. It was Jennifer Aniston who suggested that Courteney – who got engaged to the artist in 2014 – to take more action after she, too, had experienced the hardships of a long-distance relationship with Justin Theroux.